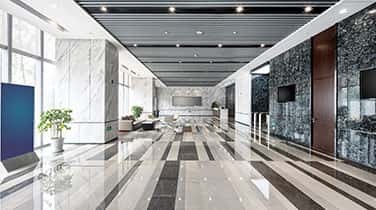 Get started with commercial marble cleaning in Key Biscayne with AAA Marble Care today and take advantage of our comprehensive natural stone care services and cost-effective prices. As a family owned and operated business based in South Florida, we work closely with many different types of commercial businesses nearby. 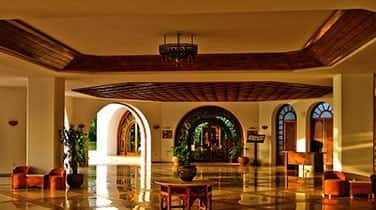 Marble and granite is common in hotels, restaurants, office buildings, nightclubs, hospitals, and other types of commercial spaces because they add great beauty, elegance, and value to any space. However, these stone surfaces must be looked after with routine cleaning services. Our team can restore your marble, cleaning stains and removing the cloudy haze caused from harsh chemicals. It's important to our specialists that our methods are environmentally friendly and suitable for both indoors and outdoors. Harsh cleaning chemicals can begin to damage your marble walls, countertops, fountains, benches, patios, vanities, pool decks, showers, tubs, and other stone surfaces over time. Acidic substances like vinegar and tomato juice can cause unsightly etching on your marble countertops, and heavy foot traffic will create dullness and fading colors in your floors and stairways. 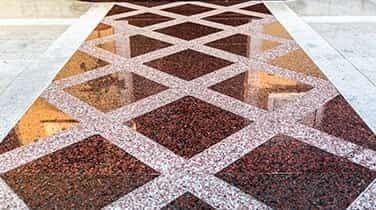 The only way to safely restore the natural shine, luster, and brilliance to your marble surfaces is through professional commercial marble cleaning in Key Biscayne. At AAA Marble Care our work is fully guaranteed and we will never leave behind a mess or lingering odor for you to worry about. 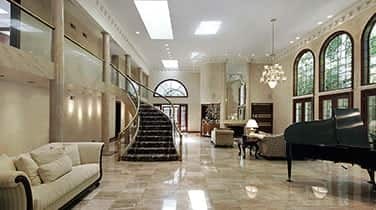 Instead, we will leave behind stunning new marble surfaces that shine and dazzle your visitors. Call today for a FREE consultation.